Click here to download a .pdf file of the WSM Rules. 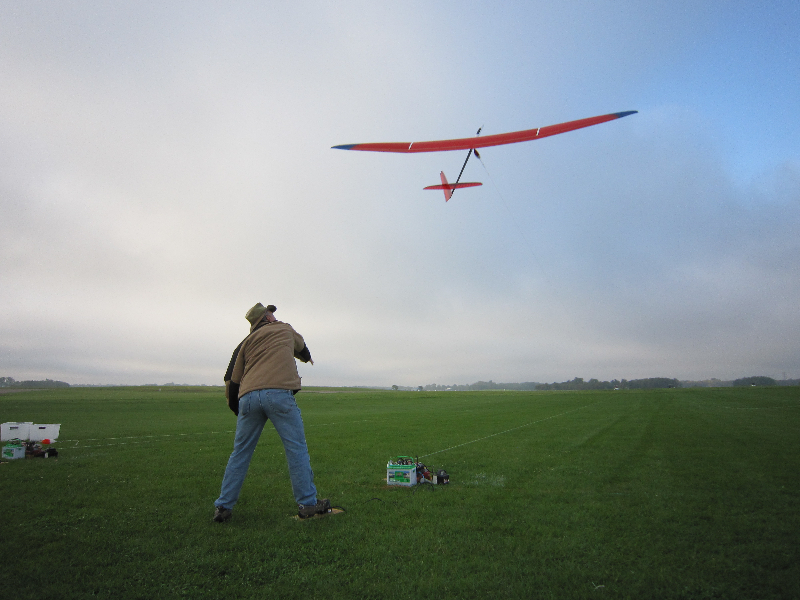 The World Soaring Masters is a Man on Man event. Each round will be normalized to 1,000 pts. This normalization includes both flight and landing points (ala FAI events). A perfect score will be a twelve (12) minute flight, and an eighty (80) point landing (720 points for flight and 80 points for landing = 800 max points which will be normalized to 1,000). 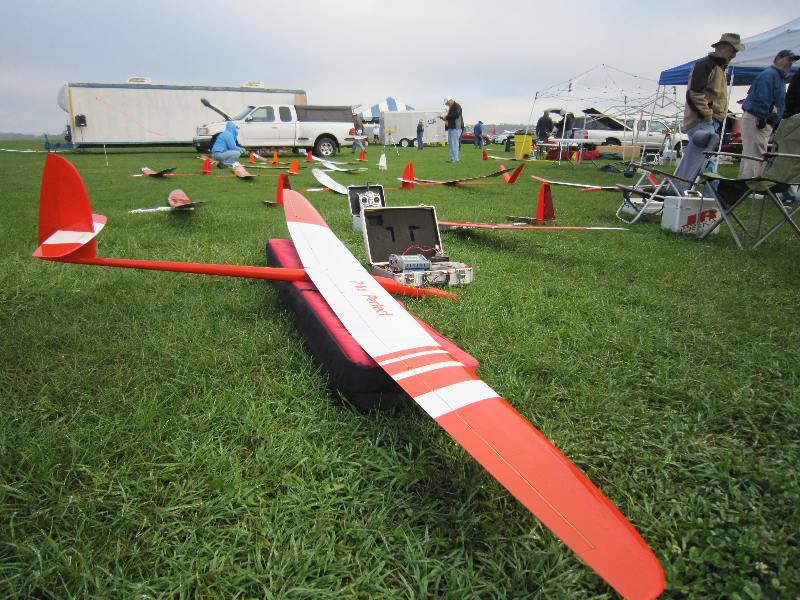 Any model flown must meet the FAI weight limit and total surface area restrictions. All pilots must fly on 2.4GHz. There will be no crystal controlled channels allowed at this event. 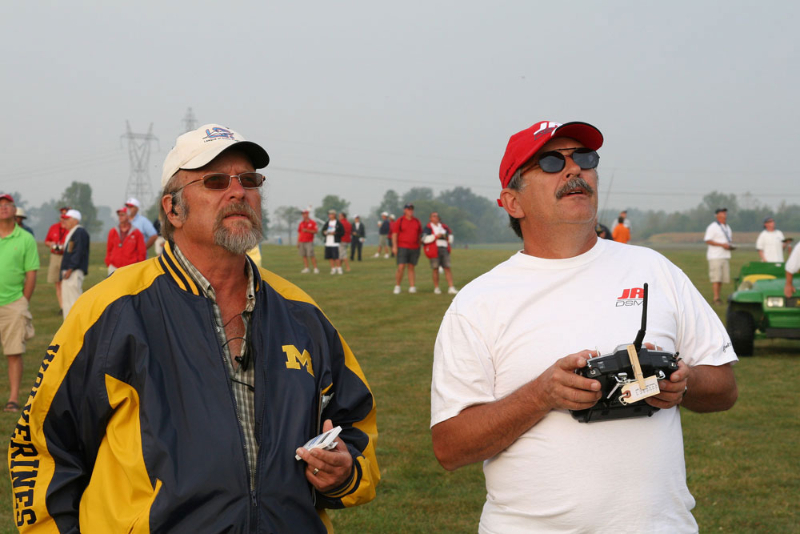 Three (3) models per pilot will be allowed and may be alternated at any time throughout the event. Only one (1) model may be taken to the flight line. No skegs, sharks’ teeth or any type of devices intended to slow or stop the model upon landing will be permitted. Nose cones with molded in skegs are prohibited. Devices for the transmission of real-time down linked flight performance information from the aircraft to the pilot are not permitted (no thermal sniffer type devices). Use of such equipment will be grounds for disqualification of the pilot from this event. Radio systems that transmit information about onboard battery voltage and signal strength are not included in this rule. Any other data transmitted from said equipment must be disabled and the disabling must be shown to a contest representative. Contest officials may check any contestant at any time during the event for compliance to this rule. Every round flown will be of twelve (12) minutes duration. Each pilot is allowed one (1) helper/timer during each official flight. Each pilot will be allowed one (1) line break during the preliminary rounds only. No line break re-flights will be allowed after the pilot has used up his allotted re-launch. No line breaks will be allowed in the fly off rounds unless a contest official determines there has been an equipment malfunction. In the event of a line break, bring it to the attention of a flight line official. Do not abort and land until the official has determined and agreed that you had a line break. Flight time starts when the model is released from the winch line. Flight points are scored at one (1) point per second up to 12 minutes and one (1) point per second are deducted for over-flying the 12 minute max time. Flight time shall be recorded to one tenth of a second. Scores shall be calculated to 1/10th of a point. Time shall be truncated and not rounded in all circumstances. Any timekeeping device used for timing must display at least tenths of seconds. No model may be launched until released by the Launch Master (Zero flight score will result). Flight line officials will attempt to launch the group as quickly as safety permits. Pilots’ helpers should expect to tap the winch lines down after release to decrease the possibility of line crosses that slow the launch process. 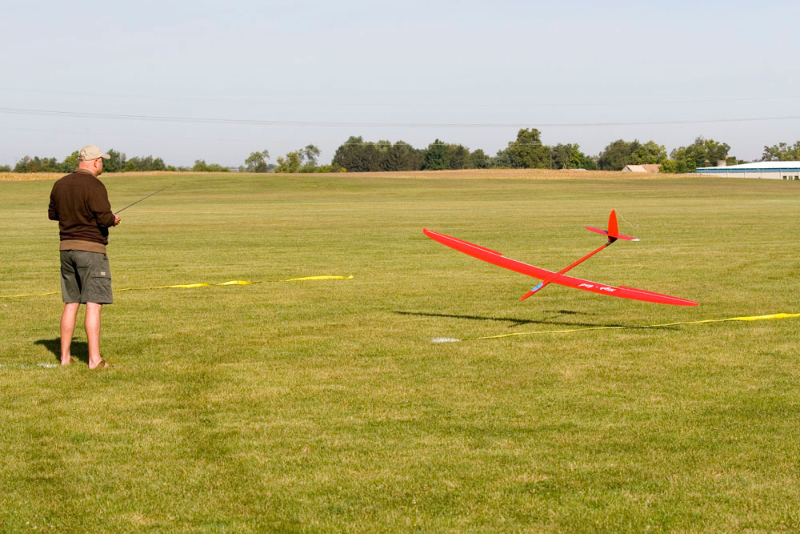 If model lands outside the designated landing zone, only the flight time will be scored provided the model comes to rest within the field boundaries designated by the Contest Director. Landing tapes are modified FAI tapes of eight (8) meters in radius. The maximum landing score is 80 with the innermost two (2) meters of the tape segmented at one point per 20 cm (from 80 to 71). The landing tapes’ outer six (6) meters is segmented at 5 points per meter from 65 to 40 points. Landing outside the circle scores 0 landing points. 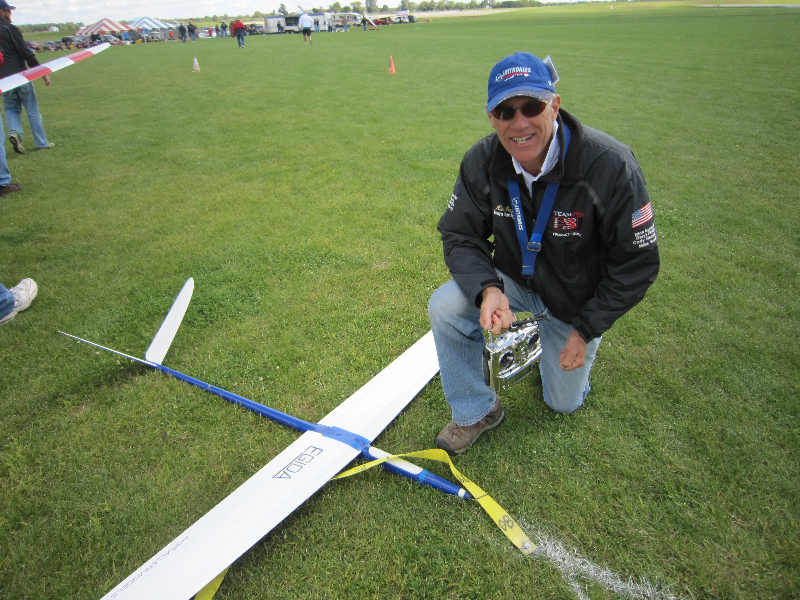 As in FAI events, landing upside down or damaging the model upon landing does NOT result in a zero landing. All winches will be supplied by the LSF. 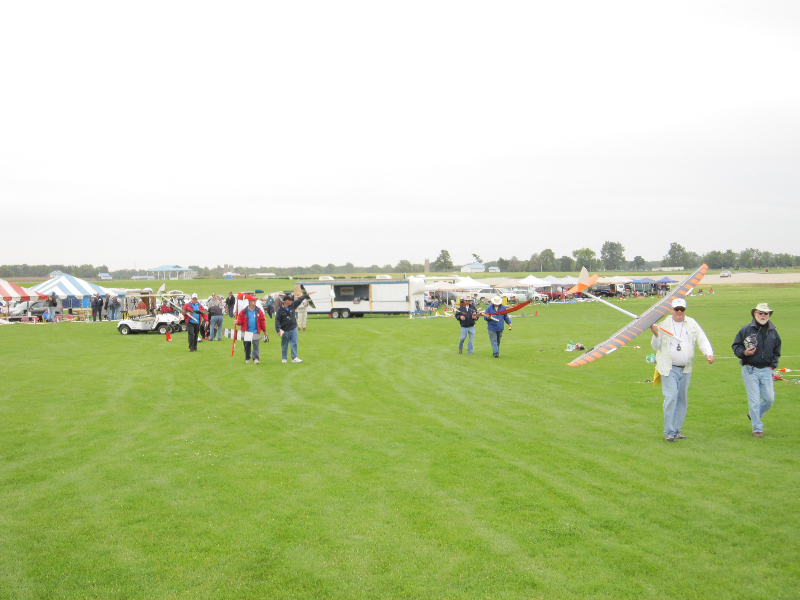 We will fly qualifying rounds through the morning of day three, The top ten competitors from the qualifying rounds will advance to the final Fly-off rounds. There will be one (1) throw-out round in the Preliminary competition. There will be NO throw-out rounds in the Fly-Off rounds. Each finalist will carry his total score over to the finals. A minimum of three (3) additional fly off rounds will be flown and the accumulation of the preliminary score along with the additional fly off scores will be added up to determine the winner. 1st through 5th place will receive cash prizes, and trophies will be awarded to the top 10 finalists.